There has been a really mixed bag of conditions over the last 48hrs to say the least. Friday midday was mad windy, with a wet 'wedge in' from the north, that spiked the avalanche hazard to 'considerable' as the result of wet heavy snow overloading a persistent weak layer caused by a 'bubble' of ice storm (noted at Feathertop, Hotham and Fainters), mid flight during the previous (Wednesday) precip event. Saturday morning was all wrong, but alright. Saturated top snow had partially frozen to make a horrific 'crudst' (new word: Crud/Crust), that softened with solar aspect temps in the positives. Had a hunch that the persistent weak layer would become reactive again, particularly lower down, but sometimes you get it wrong (read the intro disclaimer for more on that). OUTLOOK: Pretty classic mid winter conditions now, with a steady conveyor from the south AND WEST delivering FAT COLD fronts. Looks to continue for the period now until out next update. The classic avalanche problem in this neck of the woods, that north westerly wind loading the south and east leeward aspects. Luckily we are looking at sustained and consistent snowfall which is good, yet if layers form which we will monitor expect this to be upgraded by Wednesday morning. Conservative terrain choices are prudent, as will the ability to make robust assessments of the avalanche hazard and aspect as this storm cycle progresses. 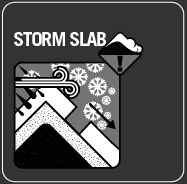 Continued heavy precipitation with super dry cold airflow and light winds will create conditions for storm slab avalanches. 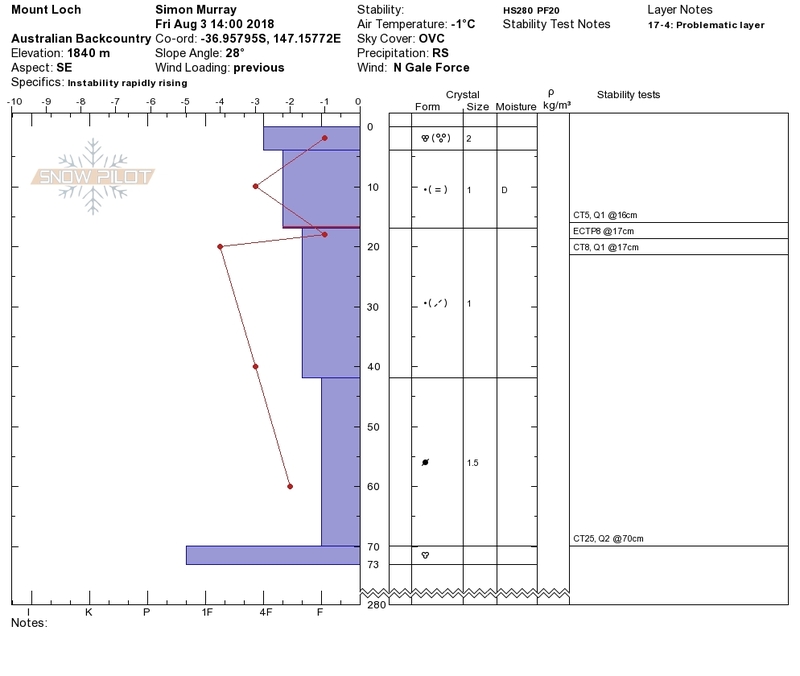 So if the snow really comes in as cold as the BOM are predicting then you avalanche problem will actually be Dry Slide, and it will be wholesale. Sure, the pros make sluff management look easy, fun even. But in Aus, with trees studding the hill you don't want to take your chances at getting washed.